No business can be all things to all people. At a certain point as a small business owner, you will need to define your business’s value proposition so you can focus your team on what you do best. Your value proposition, simply put, is the reason customers should buy what you sell. The more clearly you define your main selling point, the easier it will be to deliver it. But defining your value proposition can be tricky. In some cases, there may be five or six great reasons for customers to spend their money with you. In others, it can be hard to identify what makes your product or service different from those of your competitors. Still, it’s worth digging deep to find your value proposition. Once you identify what really brings value to your customers, you’ll be able to emphasize it in your advertising and marketing, so you can amp up sales. A generic value proposition will get bland results. The more specific and descriptive you can get about why your target audience should choose you over the alternative to overcome their problem, the more compelling your value prop. Let’s take a look at a value proposition that’s worked. The new year brings new resolutions, and it’s the perfect time for gyms to go after new memberships. You’ve probably encountered a Planet Fitness ad recently, so let’s break down their value prop. Planet Fitness is designed to appeal to a broad population, including occasional gym users and the approximately 80% of the U.S. and Canadian populations over age 14 who are not gym members, particularly those who find the traditional fitness club setting intimidating and expensive. Targets the ideal buyer. Who do you stand for? Planet Fitness has nailed their target audience. They take a stance for the everyman, and they don’t shy away from messaging that tells the traditional gym-rats to take their grunting elsewhere. A key example is their “No Lunks Allowed” campaign. Defines the problem they solve. Some people love going to the gym. For everyone else who hates going to the gym, finds it intimidating and expensive, Planet Fitness has created a welcoming atmosphere and offers it at affordable rates. But the big benefit that they nail in their current messaging, “Welcome to Planet Fitness. Home of the Judgement Free Zone,” is working out as you are and not worrying about fitting the ideal gym-goer mold. The real problem the solve isn’t about price or equipment – it’s about easing the anxiety around going to the gym when you’re in less than ideal shape. Explains why you’re different than the alternative. 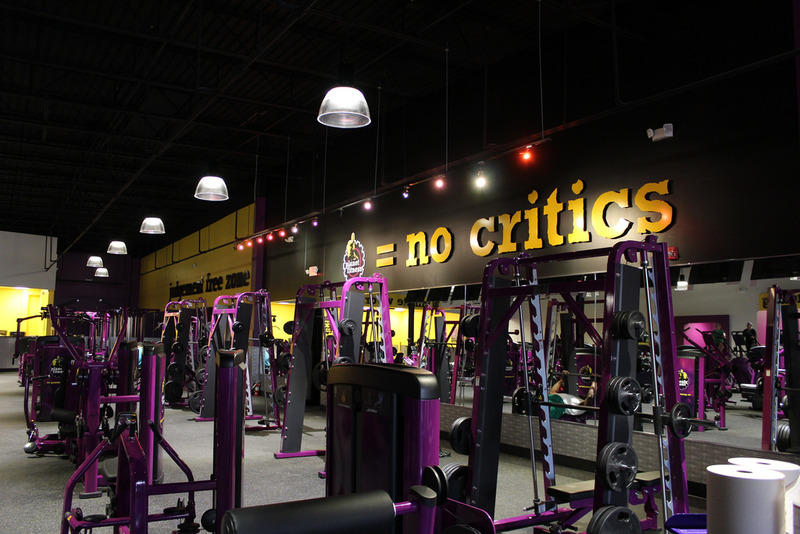 Planet Fitness clearly positions their club against competitor gyms – the ones that focus on pushing their customers to their limits. At Planet Fitness, there are no expectations to do reps or circuits or reach a ridiculously low body fat percentage. They position their center as a non-gym alternative to the traditional fitness club. When thinking about why you’re different than the alternative, remember that the alternative doesn’t always need to be a competitor. In some cases, the alternative to your solution could be doing nothing. For instance, if you’re an accounting firm for small businesses, the alternative could be revenue lost to bad bookkeeping because your small business did nothing. Here’s some advice on how to define your value proposition and put it to work for you. Analyze your product or service. Consider what problems or challenges your customers have and how you are addressing those pain points. Think about both the practical and the psychological needs you are addressing. For instance, if you’re a financial advisor, you aren’t just buying stocks and bonds for your clients. Hopefully you also provide specific financial advice that makes them feel like their money is secure and well invested. Zeroing in on exactly how you make customers’ lives easier and more enjoyable will help you define your value proposition clearly. Not sure exactly what customers truly value about your business? No one knows better than they do why they like to buy from you so don’t be afraid to ask them. Ask them to fill out a quick survey to identify why they have chosen to do business with you, in exchange for entering them in a contest where they can win a small prize. In your survey, ask what inspired them to make a purchase. If you have a robust email marketing list, you can also try doing a simple survey of your customers to find out what made them buy from you. The data can be a treasure trove of information. Whether you employ cashiers or accountants with graduate degrees, team members who do customer-facing work can lend valuable insight into what your customers value most—if you ask them. Customers aren’t always fully aware of why they buy things—or aren’t always willing to admit it. Your employees can help you understand what customers aren’t telling you. Once you have narrowed down your potential value proposition to two or three contenders, it is time to refine your value proposition even further. If you have an email newsletter, try testing email subject lines that emphasize individual value propositions you are considering. Track their open rates (and CTRs) to see which ones resonate the most. Don’t just use words to test your value proposition. Try posting images that emphasize your value proposition on social media, too, and see how your customers respond. Let’s say your value proposition is that your small business employs the friendliest customer service team. Try posting pictures of your team to put faces to the names. Are people liking those photos and posting positive comments—or just ignoring them? How does the engagement on these types of photos compare to that of articles you’re sharing or news you’re posting? 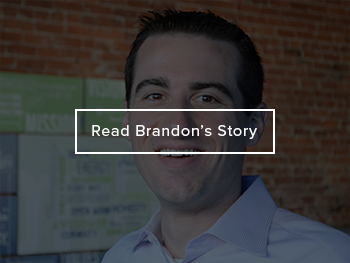 The metrics from your social media pages may tell an interesting story. Once you’ve gathered the evidence, it’s time to choose a value proposition. Commit to it for at least three months by baking it into your marketing and highlighting it in your customer service. See how customers react. Within three to six months, you’ll get a sense of whether you’re focusing on the right value proposition. If not, try one of the other strong contenders. It’s not always easy to pinpoint your value proposition, but it’ll be worth the effort once you get it right.